Barcelona are reportedly in a strong position to secure the signing of Paris Saint-Germain midfielder Adrien Rabiot either this summer or next. 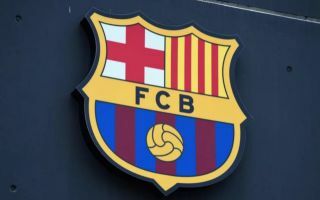 The Catalan giants have already overseen plenty of changes in midfield this summer, with Arthur and Arturo Vidal coming in at the Nou Camp after the exits of Andres Iniesta and Paulinho. In turn, it could be argued that the reshuffle is enough to strengthen the squad, and perhaps further changes in the same summer could prove to be disruptive. However, there could be one more new face added before the transfer window closes or perhaps even next summer as Calciomercato, via the paper edition of Mundo Deportivo, note that it’s potentially a case of when not if they are able to sign Rabiot from PSG. It’s suggested that given the 23-year-old’s current contract expires next summer, the Ligue 1 champions must now either decide whether or not to cash in this month or risk losing the French international for nothing next year. Either way, it’s added that he’s rejecting the option to renew, with Barcelona specifically mentioned as chasing his signature, and so it remains to be seen what PSG opt to do to resolve the situation in their best interests. Rabiot would undoubtedly be a great fit at Barcelona given his technical quality and creativity in possession, and so he should be an ideal addition to bolster Ernesto Valverde’s midfield. Nevertheless, time will tell when a deal will be done as PSG may opt to keep their prized asset for another year and let his contract run down. To avoid losing him on a free though, it might be sensible to get what they can for him now if they are convinced that he doesn’t see a long term future in the French capital.